Rami Zaidan Ibrahim is the only American-Palestinian-American to ever win a unified USKA/WKA kickboxing world title. In fact, neither an American nor a Palestinian has ever held the title. More than just a great story, it’s a sign of the fact that martial arts of all types of growing in global popularity. 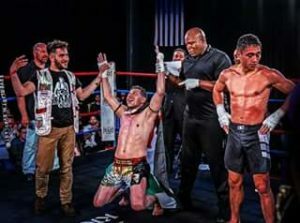 Ibrahim earned the title after defeating New Zealand champion Quade Taranaki at the main event in Philadelphia, Pennsylvania on April 28, 2018. Ibrahim was born in Kuwait and immigrated to the U.S. in 1990.